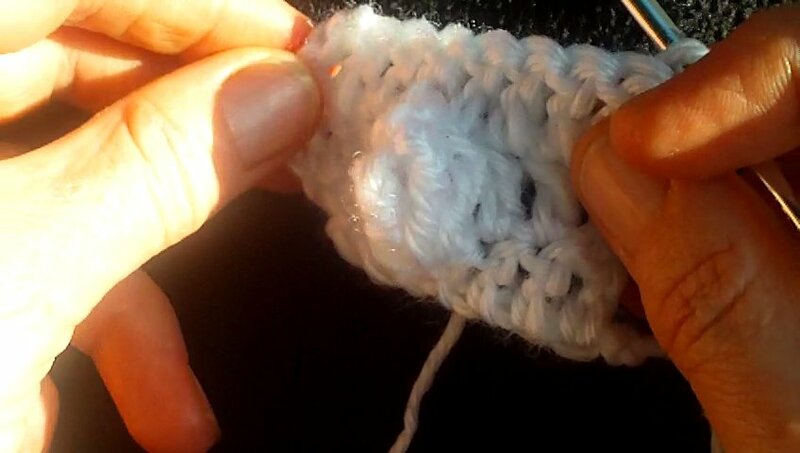 Bobbles and popcorns - Just one of the multitude of ways you can add texture to your crochet, they are often added to Aran style patterns. 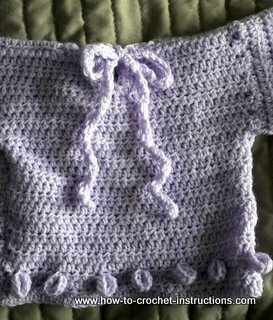 Although traditionally Aran sweaters are knitted; the cables, bobbles and rib patterns can be imitated with various crochet techniques that are much quicker and easier to do than knitting. 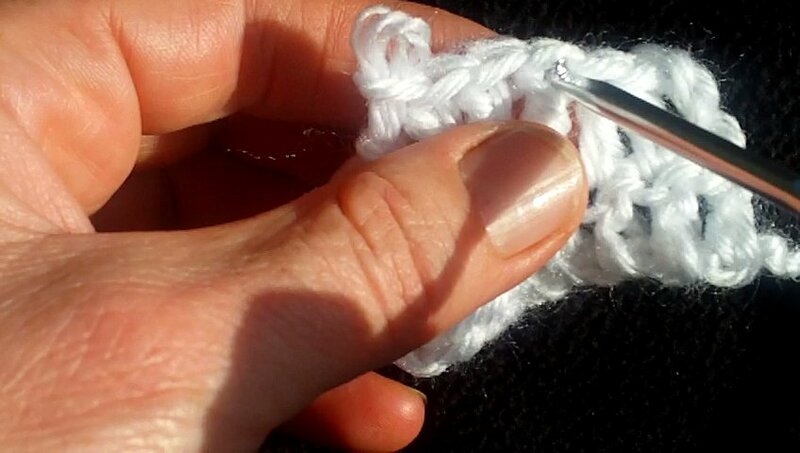 To knit a bobble you need to go back and forth several times, constantly turning your work and swapping needles. 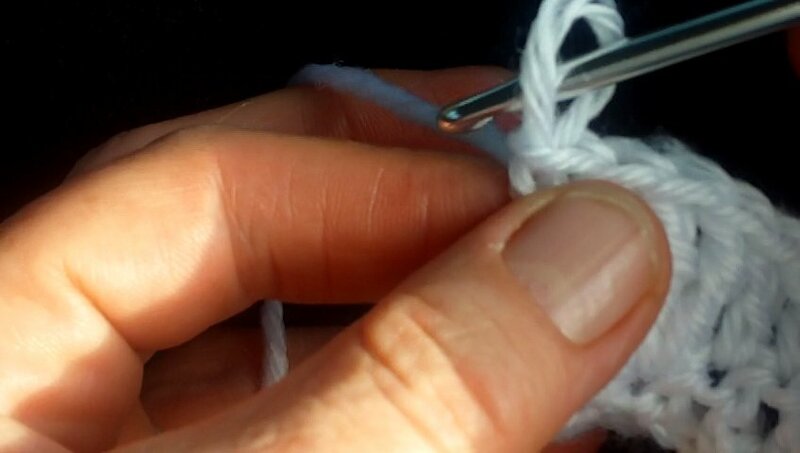 It is tedious. 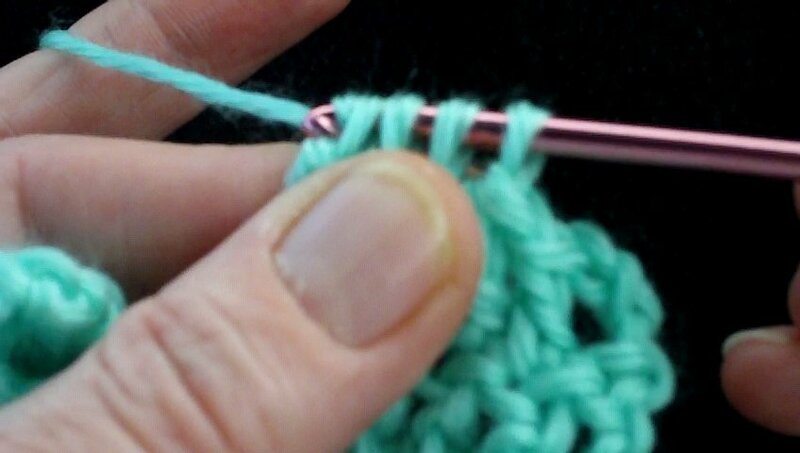 However a crochet bobble involves nothing more than adding a few extra stitches. 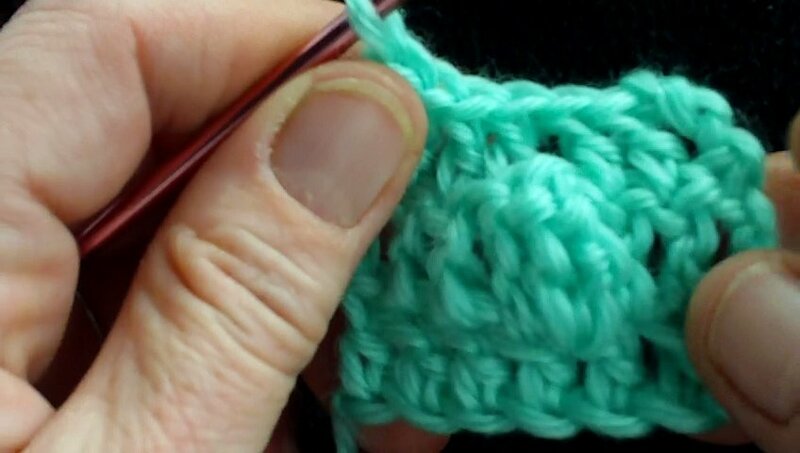 A popcorn is just a different method of making a bobble. Try each method - bobbles and popcorns - and see which one you feel most at home with. 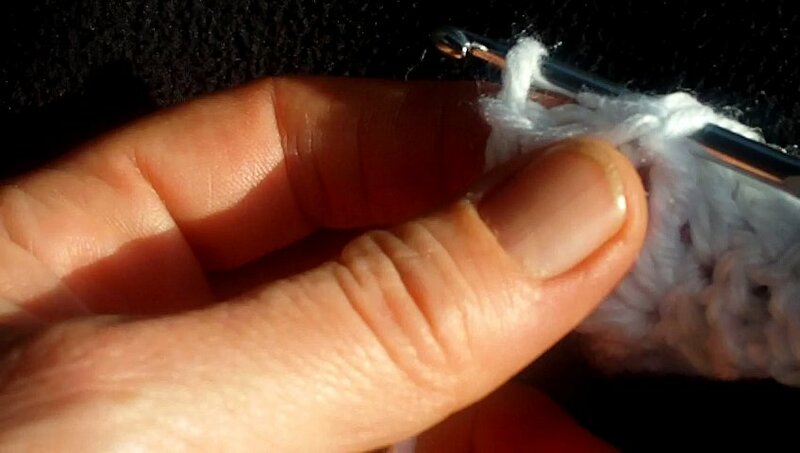 Then do one last little pull through to close and neaten up. 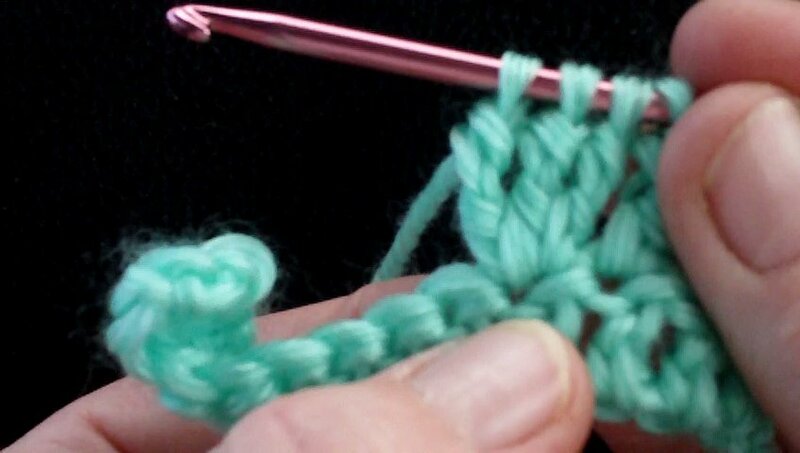 When you come to work the last row take care that you don't work an extra stitch when you get to the bobble. 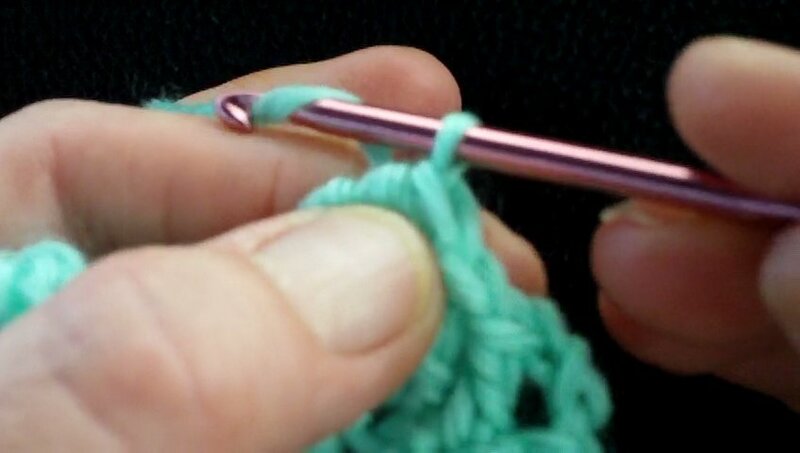 Either work into the closing stitch or work into the top bobble's stitch - it doesn't matter which one - but don't work into both. 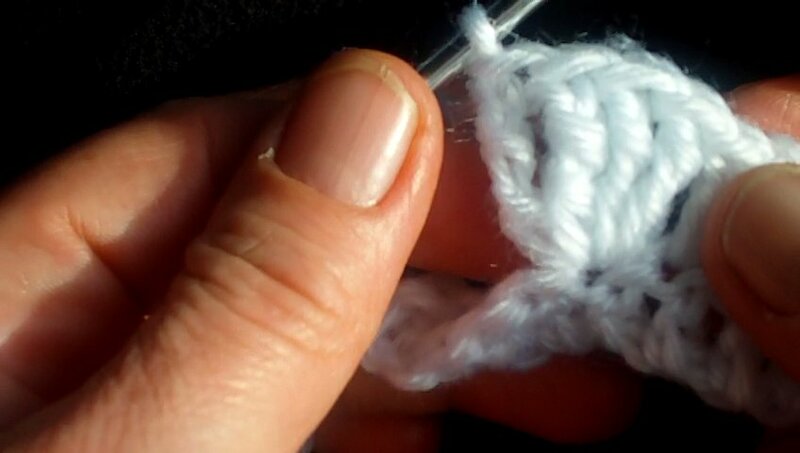 SO now you can make bobbles and popcorns - easy peasy.